We got to take a sneak peek at part of the new REV'IT! lineup at MotoGP about a month ago. We took some shots. The REV'IT! Sand Jacket & Pants are the successor to the Offtrack and Dakar outfit. 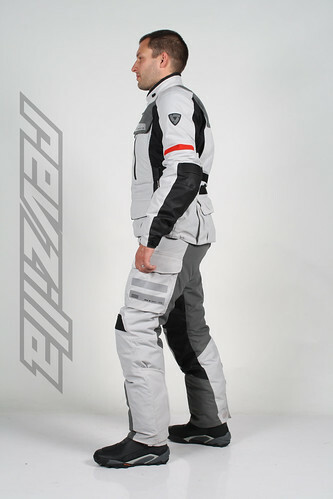 4 Season, Offroad styled with a new ventilation configuration on both the chest and arms. 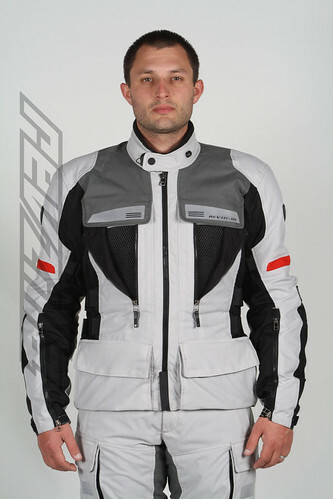 We wont start taking pre-orders at RevZilla.com/revit for another few months, but decided to release some of the prelim shots we have. We have a whole REV'IT! Sand Photo gallery but here are a few good ones. Matching Sand Glove coming as well. We will post more as we get it. Feel free to shoot me any questions about the gear. Here or on our REV'IT! FAQ thread.